24 years passed between this and the last Budgie studio album. 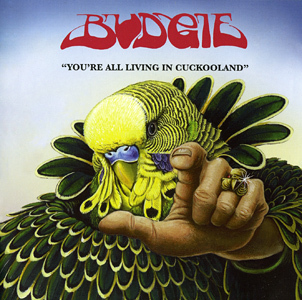 Not that you can tell, as “You’re All Living In Cuckooland” sounds like classic Budgie to the last detail. 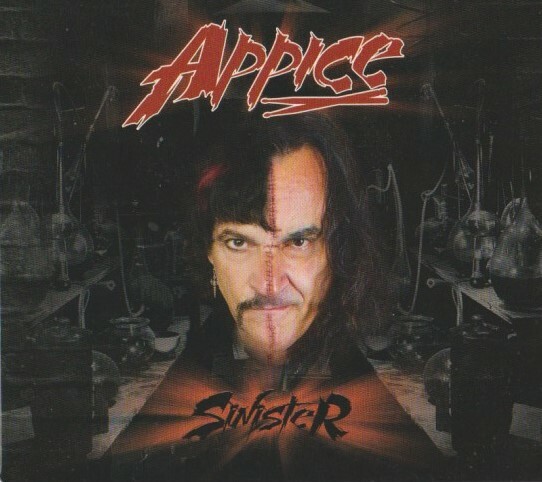 The cover art even looks like classic Budgie! No computer generated images here, and the classic Budgie logo is intact! Drummer Steve Williams has returned, and the guitar slot was filled by the excellent Simon Lees (although I understand Craig Goldy of Dio toured with them a lot). Right from the first track, “Justice”, you know that Budgie are back. Burke Shelley’s unmistakable voice is as vintage-Geddy as ever, and the sound of this band has hardly changed at all. Maybe there are some slicker effects on the guitars, but the style is 100% Budgie. The songwriting is still idiosyncratic Budgie, except for some unaccompanied acoustic tracks which Burke wrote alone. Musicianship is in the forefront and production is sharp, although I can’t hear enough bass for my tastes. To me, early Budgie was all about Burke’s slinky bass lines, and I want to hear them! “Dead Men Don’t Talk” and its positively squirrly solos. The psuedo-title track, “We’re All Living In Cuckooland”, an acoustic number that remained lodged firmly in my skull for days. “I’m Compressing The Comb On A Cockerel’s Head”, the 8 minute closer with its stuttering tremelo guitar solos. Yet another oddball Budgie song title too. I love it! Everything here is a winner. No filler. Ronnie James Dio’s death was an incredibly sad day in rock. For our little corner of the rock world, that genre known as Heavy Metal, it was an absolute tragedy. Very rarely have ever lost someone with so much talent, and so much history. I mean, we lost Randy Rhoads, but he never got a chance to grow and spread his wings. Dio did. Unfortunately Dio’s long and powerful career has not been well documented in live album format. 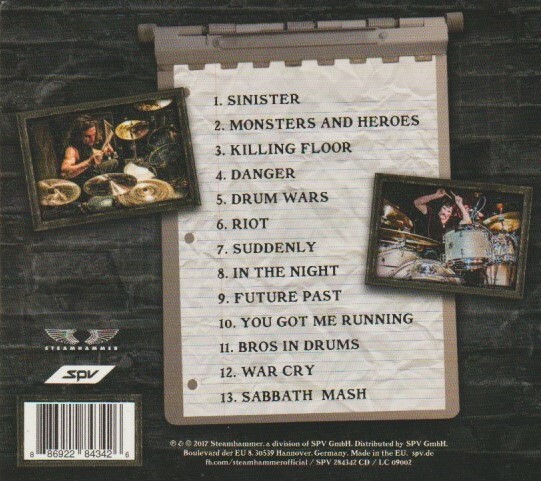 There are gaping holes in his live catalogue, with very little (just B-sides) being available with Vivian Campbell on guitar. Finally some of that history has seen the light. Doninngton UK collects two concerts. From 1983, we get a show with Vivian Campbell. From 1987, a show with his replacement Craig Goldy from the very underrated Dream Evil tour. Both shows are excellent, with nary a complaint between the two of them. Both shows contain ample Dio tunes with a smattering or Rainbow and Sabbath. For me, my personal highlights were not any specific song, but more the tireless performances by Ronnie James Dio. If any man ever made it all sound easy, it was Dio. Plenty of power to spare, Ronnie James is the ringleader and he never faulters. He’s perfect. A second highlight for me was the guitar work of Campbell and Goldy. 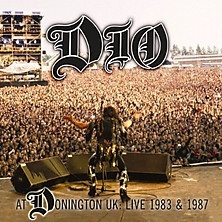 It was great to finally hear the first two Dio dudes rip and shred live. You get “Holy Diver”, “Heaven and Hell”, “Stargazer”, “The Last In Line”, “Rock and Roll Children”, and pretty much any favourite Dio song you’ve ever had from that era. Yes, you’re going to hear several songs twice. “Children of the Sea” (a Sabbath classic), “Rainbow in the Dark”, “Holy Diver”, “Heaven and Hell” (another mighty Sab classic), and “Silver Mountain” all appear on both discs. When you think about it though, that’s a lot less overlap than you’d expect. The recording and mix are good enough (by the BBC), and the packaging is very nice as expected. I love the cover. 5/5 stars. As if there was any doubt. ADDED BONUS: Two plastic backstage pass replicas included!